Who doesn’t love a good story about a wedding “fail?” No matter how much planning goes into the ceremony or the creation of the perfect wedding dreamt about in fairytales, there’s still the chance that there will be some sort of mishap. You usually imagine something along the lines of spilling red wine on the bride’s glistening white dress, or (depending on your level of cynicism) the groom skipping out on the alter and moving to Bermuda with his secretary. Recently, a Virginia couple, who thought their wedding was a total success, received some shocking news that they weren’t actually married. The couple was married in 2006 in Washington D.C. They had obtained a valid Virginia marriage license prior to the ceremony. However, they never had a ceremony in Virginia. The only wedding ceremony was in D.C. The Fairfax County Court ruled that the marriage could not be considered valid in Virginia due to the lack of wedding ceremony in Virginia. The Fairfax Court ruled that a ceremony must take place within the Commonwealth in order to be considered a valid marriage in Virginia. 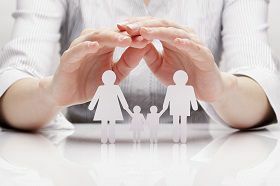 This is important in future proceedings with both divorce, separation, custody, and wills and trusts. Virginia does not recognize the formation of common law marriages, but it does recognize marriages made in other states. A valid Virginia marriage needs two things: 1) a Virginia license and 2) a Virginia ceremony, and one must obtain the license first, and then conduct the ceremony within 60 days. But fear not, destination-wedding imaginers. A Virginia ceremony can be conducted by the justice of the peace at the time you get your Virginia wedding license. This counts as a ceremony in Virginia for purposes of a valid marriage. You can have your cake, and eat it too - in your tropical island destination wedding spot.